WD 40, spray on your hooks, while attached to your lure. One of the main ingeadients is fish oil. Dont know if effects your hook up rates, but wouldnt hurt. Garlic dyes etc have been around for ages, have not seen anyone outfish some one not using it, dont knowhe value of it, dont use softys much though. 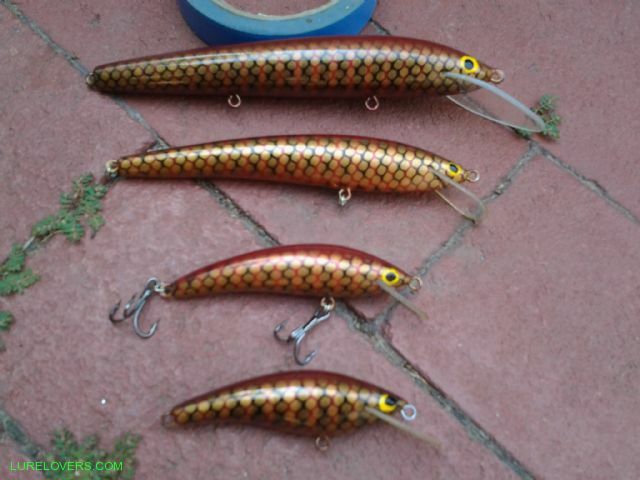 i tried dipping lures in tuna oil.......i tried this also on unpainted lures to allow oil to soak into timber....stunk like hell and made no difference at all as far as extra hook ups..
for bass one day i tried some freshwater shrimp mashed in a bucket ....smeared on lures.....no difference! ..i think the action is far more important ...its a response hit most of the time, either territorial or curiosity....or hunger.....just my opinion. A couple of times either I or somebody else that was using scents thought it may have made a difference. These were on bait though. But with all of the vagrancies of fishing it may have been coincidental. Many of the tournament fishermen use it so it may have some effect. The Spike It scent pens are designed for hard body lures, doesn't affect paints that I have found, otherwise the Spike it Sprays work well, have used them many times on hard body plastics. One misconception is that the scents are used as an attractant. The real reason to use them is to mask un-natural scents/taste like petroleum/oil/sunscreen/insect repellant/human oils etc. Well Gulp shrimp continue to be ridiculously productive. They catch everything, bream, bass, kingies, flatties, tailor, salmon, 1m+ Jews......... And they've got to be the lamest lure on the market as far as action goes. I don't use it on hards, but I think that's just a stubbornness thing on my part. It's clearly effective on plastics. Myth: WD-40 contains fish oil. Consumers have told us over the years that they have caught some of the biggest fish ever after protecting their fish hooks and lures with WD-40. We believe this legend came from folks assuming that the product must contain fish oil since it appears to attract fish. Sorry Charlie®, it just ain’t so. WD-40 Company has taken steps to respect and conserve the environment, and encourages its users to do the same. While WD-40 can be used to help protect fishing equipment from rust and corrosion, WD-40 Company does not recommend using WD-40 to attract fish. I was told once that s-factor was just petroleum jelly with a scent mixed through it and the darker the paste the more scent was in that tube, apparently the vaso keeps the scent on the lure longer than just dipping it in oils so I have a little concoction I made up pretty simple, vaseline and shrimp paste fish hit it just like s-factor I'm sure there would a few other ones we haven't heard or thought of, if that Gulp juice mixes with vaso it would be pretty good I'd say. Small Scale Lure Creations; Lure making on hold ATM. heard similiar stories tim from old mackeral fishermen that used to fish the swains reefs.....who knows.....probably more for preserving or just a brighter color. The old way of preserving beach worms was to soak them in kero before freezing - and they still worked well. For a while the mullet caught by the pro fishoes in Pumicestone Passage tasted like kero - so they stopped netting them. I have out fished a mate on a few accasions useing the same bait as each other side by side but I did not tell him I kept dipping my popper feathers in tuna oil when I went to check my bait he even made me give up my spot as he thought I was sitting in the gutter better while we were fishing for Gummy and black back. Even after we changed posi I still kept reelin them in , I did not tell him for about 3 trips but now he does the same trick. It must make a difference on a lure you would think. 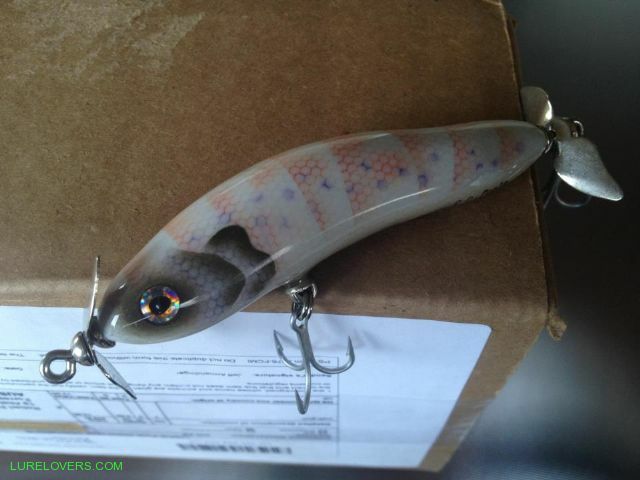 Does any one know of a lure that has a blood capsule in it ? A friend said he seen it on fishing WA or a show like river to reef but was not sure on the show. Gramps used to dip his weed in kero when fishin for ni....luderick!. Darby is on the right track, I have heard that a few times. I try to remember to wash my hands in the mud on the shoreline before I fish and also give my lure a dunk in the mud or sand. Also I have heard that Gulp ( juice ) is very good. The lures I make these days ( timber ) I am now drilling a 5/6 mm hole through the body. From one side to the other, then paint, making sure the hole is coated as well. This is to insert a bit of burley, prawn, squid, beach worm, gulp juice or road kill, whatever. The idea is to lay a trail of scent behind the lure. Too often I get more bumps than hook ups. I too have heard that a simple paste made up of Vasoline, garlic and a fish scent of some kind (shrimp paste, tuna oil ect) works pretty darned well. A cheaper alternative to Gulp juice that's for sure. Another great alternative to garlic spike-it spray is the garlic infused olive oil spray from coles or woolies. At 5 bucks a can, its way cheaper, smells the same, lasts just as long, and you have always got oil for the BBQ back at camp!!! Aerogard...every time i fish i noticed soon as i apply the stuff on myself and rub it in with my hands them touch lures,i get fish..weird but thats my finds... .Anyone else experience this? Mid-winter last year I pulled 14 Barra ( 82cm - 115cm ) from the fresh water section of the Ross River in Townsville . The biggest on a 5'' Bozo , the rest on 5'' Storm suspending shads , all smeared with a good coat of S-Factor . I might have caught them without the attractant , but using it didn't hurt in my opinion . Trev, young Andy Orr told me a lil' story one day when he was up the sunny coast...he and his mate went for a morning fish before work, fishing the same snag, with the same softies, same jigheads..all same same. ol mate...'mmmf I taste chilli!!!! ol mate does and Andy rerigs the jig and softie. Totally agree Brad, Gulp is bait, soft plastics are in between, and I've no problem with them and do stoop to putting gunk on occasionaly. The comps where "Gulp" was and is the gun "lure? ", I question, but big bucks buy trends. I can say that now, I'm not in the tackle industry. I think we've been through discussion this many times, so don't worry about answering my ravings. Each to their own. Good read fellas and as Howard (Muckawa) said a burley trail. I have seen that many times. 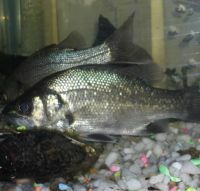 There is another factor that we need to be aware of is the type of fish. Tailor don't care they will hit some plumbers tape when they are on the chew. Many years ago we we're on the Daly River fishing with a guide, (back when I could afford it,) and I put to him the idea that the scent on your hands may chase a Barra away. He said you can have suntan lotion, sandfly repellant, hand cream the lot and Barra will still hit your lure. That's all okay but there a lot of fish species that I would not try that with. I would rather drop a worm scented lure out onto the sand flats, trying for flathead than one that may have insect repellant smell. The scent disperses in the water, right??? You move your lure, right??? Lure is no longer in scent trail, right??? If lure sits still in plume of scent, it may enhance strike rate! Run past a Café, Juices flow! Chase waiter who carries your Coffee, Toast, Whatever! Take note if Juices still flow!!! Poor thinking to suggest they make a measurable improvement. Advertising garb is just advertising garb!